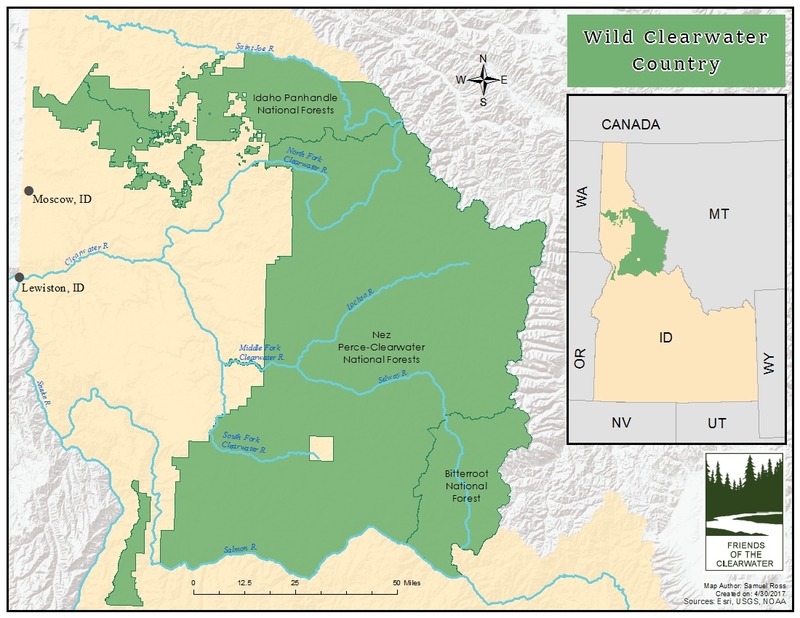 The Wild Clearwater Country is the northern half of the “Big Wild”, which contains the largest remaining roadless, and undeveloped stretch of wildlands left in the Lower 48. Only Alaska has more ecologically intact and wild country. The Clearwater is a place of dense, moist forests of ancient fir and cedar, parted by crisp, cool streams. It’s a special place where you can listen to swift water flowing through intimate, deeply-cut canyons, and you can smell aromatic, spacious stands of ponderosa pine climbing the ridges above. It’s a landscape where gray wolves, wolverines, lynx, bears, and mountain goats roam far-reaching ridgetops and lush, river-bottom valleys. Unlike many other places, the Clearwater still allows individuals to immerse themselves in solitude and inhale the soft breath of untrammeled wildness. This is the Wild Clearwater Country - the land and water feeding the Clearwater Basin. 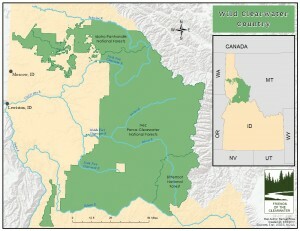 This irreplaceable landscape lies between the forests of the St. Joe River to the north, and the rapids of the Salmon River to the south, with the spine of the Bitterroot Divide to the east. Learn more.